Hey there. Have you checked out Comet TV yet? What!? You don't know what Comet TV is?! 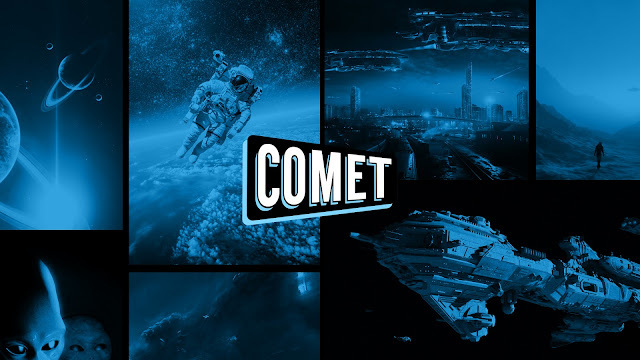 Oh man... Comet TV is the first ever 24/7 science fiction broadcast network that offers over 1,500 hours of science fiction goodness. You'll find awesome movies like Labyrinth, Gattaca, and The Crow plus great shows like Stargate: Atlantis and Science Mystery Theater 3000 on Comet TV and now... you can get Comet TV on Roku and Apple TV! It's the best time to get on there and download the app to check it out! And the best part? It's free! Comet TV does change up the content each month so you need to make sure you check in on their monthly programming to see what's on. Also, their programming can have fun themes during some fun times. For instance, March is known for March Madness so why not make it... March Movie Badness! lol Comet TV is showing some of the most range, stcult-tastic, and weird movies ever made! Troll 2, anyone? There is also a cool giveaway that's tied in to March Movie Badness but we'll touch on that real soon. So will you be checking out Comet TV? If you're a fan of all things science fiction, you simply cannot be without it! Later!